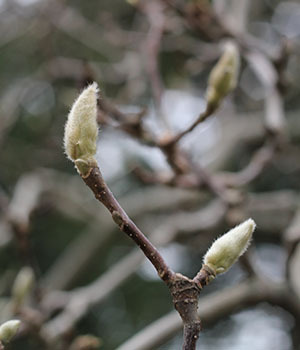 Large fuzzy flower buds are carried through the winter at the tips of the branches of this magnolia. 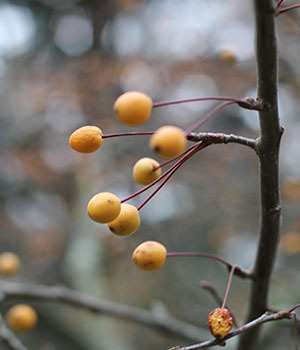 After its leaves fall, this tree reveals a generous crop of small, bright red fruit that turn reddish-orange after the first few frosts of the season. 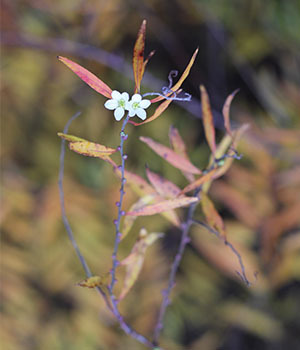 The spectacular fall color of this shrub is outstanding and the winter leaves persist and turn tan, even rustling as winter winds blow. 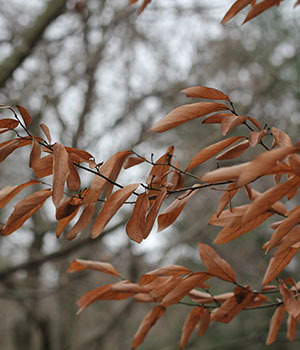 The exfoliating bark makes the row of filberts an attractive walk in mid-winter. 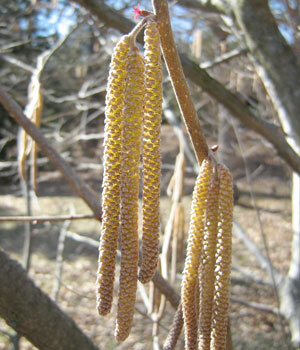 In late winter this shrub forms a mound of arching stems covered with tiny snow white flowers. 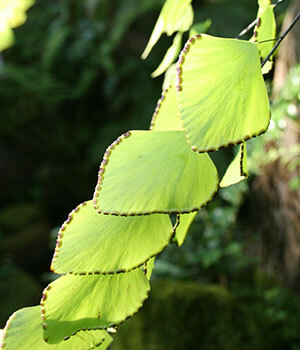 The silver dollar fern can be identified by its large and delicate leaves.